This exemplary project involves a large, collaborative team from UVic Business, Office of Indigenous Affairs UVic, Service Canada, Executive Programs UVic, NW Community College, First Nations Technology Council, Tribal Resource Investment Corporation and UVic Fine Arts and Indigenous Education. 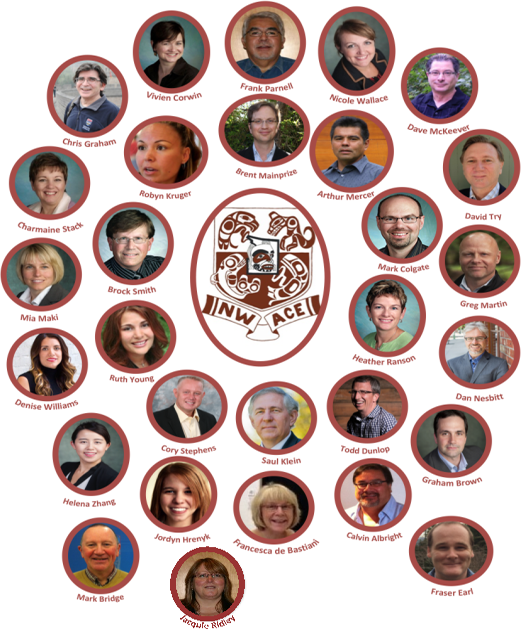 The team includes Dr. Saul Klein, Dr. Brent Mainprize, Ms. Jacquie Ridley, Ms. Charmaine Stack, Ms. Nicole Wallace, Ms. Helena Zhang, Ms. Ruth Young, Prof. Mark Bridge, Dr. Graham Brown, Dr. Mark Colgate, Dr. Vivien Corwin, Prof. Chris Graham, Prof. Mia Maki, Mr. Greg Martin, Ms. Francesca de Bastiani, Mr. Dave McKeever, Mr. Dan Nesbitt, Prof. Heather Ranson, Dr. Brock Smith, Mr. Cory Stephens, Mr. Calvin Albright, Mr. David Try, Ms. Denise Williams, Ms. Jordyn Hrenyk, Mr.Frank Parnell, Mr. Fraser Earl, Mr. Arthur Mercer, Mr. Todd Dunlop and Ms. Robyn Kruger. The Northwest Aboriginal Canadian Entrepreneurs (NW-ACE) program is a collaborative effort between Aboriginal Communities served by Tribal Resource Investment Corporation: (TRICORP), regional and provincial governments and the University of Victoria’s Gustavson School of Business to bring first class entrepreneurial learning to the Aboriginal people of Northwest British Columbia. This deep and extensive collaboration enables the NW-ACE program to take the university to the Aboriginal community rather than expect the Aboriginal participants to travel to the university. The primary aim of the program is to enhance the self-sufficiency and full economic participation of Aboriginal people in the many exciting projects under way in their traditional territories by helping prospective entrepreneurs start and grow their own businesses. 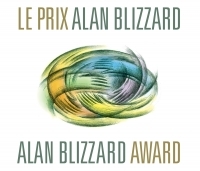 The Alan Blizzard Award was established by the Society for Teaching and Learning to encourage, identify, and publicly recognize those whose exemplary collaboration in university teaching enhances student learning. The concept for the Alan Blizzard Award was developed by a committee including Chris Knapper (President, 1982-1987), Alan Blizzard (President, 1987-1995), Pat Rogers (President, 1995-2000), and Dale Roy (Coordinator, 3M National Teaching Fellowship). The Award honours Alan Blizzard in promoting the vision and practice of collaborative teaching for deep learning.